I first learned about Adriane Alvord on the World's Toughest Podcast. Listening to her story, I got emotional. Here was a survivor of domestic abuse who was able to use OCR and racing as a way to survive, and feel alive again in her own life. She was able to get out of a truly awful situation in life and has become an OCR force of nature. Through everything she had to live through, she didn't let it break her soul, and this is why I chose to feature Adriane as a Badass Woman of OCR in this article series. I want to show others that are in an abusive situation that you can get out, and survive. Adriane's story is truly inspiring. She is strong, determined, and truly “unbreakable”. 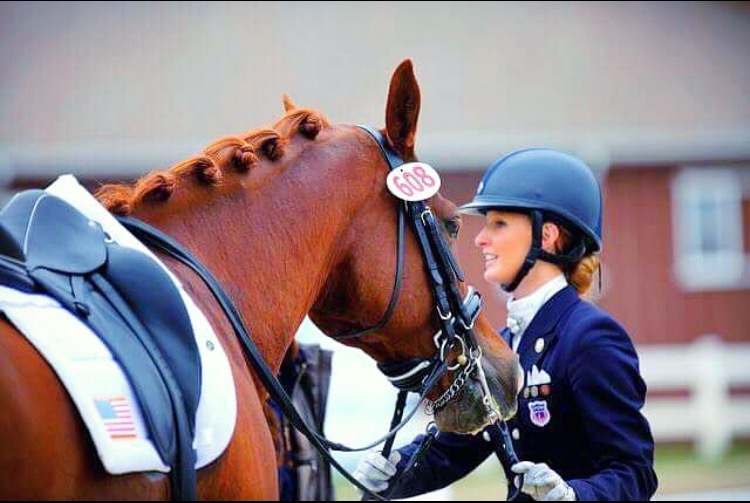 I'm a 23-year-old professional Dressage trainer that runs my own business Adriane Alvord Dressage in Middleburg, Virginia. When I'm not busy training horses or coaching my clients, I'm looking for adventures to push outside my comfort zone. I love finding things to test my limits and finding ways to keep pushing when it feels like one more step or breath is impossible. After overcoming an abusive relationship back in 2015 that ended in assault, I dedicate every day to finding ways to feel alive. That means embracing every aspect of living, both happiness, and pain, failure, and triumph. While being abused I had come to the point where I was numb, and no longer felt anything. I was so lost and broken I was getting to the point where I just wished something would happen to end it all. The only thing worse than feeling extreme heart-wrenching pain is getting to the point you can't even feel that. Racing was the one thing during the abuse that showed me I could still feel alive. Even though I was weak, broken, and had no idea how to get back to being myself again, I knew that if I kept putting one foot in front of the other I would eventually find myself and find my purpose. Even though I was weaker than I ever was, I would put myself out on the course and stay out there for hours until I finished. It didn't matter how bloody or bruised I got. It didn't matter if it seemed impossible, every finish line had turned into one step closer to showing me I could make it. Now almost 3 years later and I'm stronger than I've ever been, and have more support than that broken me could have ever imagined. It blows my mind to look back at the girl I was just a couple years ago. So lost and scared, and feeling so alone when in reality I had an entire support system just waiting to hear my story and offer me the help I needed. I hope that by being open about my story, other victims and survivors will see it's OK to talk about it and that they are not alone. No matter what their abuser may say to them, and make them believe, they do not deserve what is happening to them. No matter the mistakes we make, no one deserves to feel like their life is meaningless. I want people to know it doesn't matter how lost or broken you may have been in your past; if you're willing to work hard you can live an amazing life post domestic violence and abuse. By staying silent and ashamed of our pasts we give or abuses the power to continue hurting other women. But by honest with our pasts we not only protect other women but in return we set ourselves free and give ourselves the power to live our lives’ unbroken. If you asked around my high school, I would be the last person anyone would have predicted to have done all that I have. I had never done any sports prior to OCR besides the horses. I was the most uncoordinated and awkward kid around! But I always had a fighter personality in me, and extreme drive to prove doubters wrong. Tell us about the Races you have done so far? What was your first race like? My first 8-hour race I did kind of as a personal challenge because I didn't think there was a chance I could run for that long. I totally shocked myself by winning 2/3 8 hour races I did and decided to place my sights on a top 10 finish at my first WTM. I had someone tell me “no one finishes in the top 10 their first year at WTM.” Well, that pretty much guaranteed it would happen due to my extreme stubbornness and not only did I finish 9th at my first WTM, but managed to finish in the top 3 at my first ever 24-hour event bfx24. For me, the longer the better because I'm able to really embrace and accept the roller coaster of emotions that coincide with long endurance events. after overcoming the hardships of my past, it makes it easy to laugh at the pain. It's like your body is screaming at you to stop, but my brain is able to laugh and say “you don't even know what real pain is.” Although it can get really hard, my mind knows it can deal with the suffering. I just embrace it, because it means I'm alive. Do you feel that due to strong women like yourself, that others are willing to push their own limits? Women in our sport are constantly pushing past new limits and showing that we can not only compete with the men but do just as much, if not more than they can. I think it's a really exciting time to be a woman, I'm constantly inspired by my competitors and the fact that we now have a handful of women going after that elusive 100 miles for Worlds Toughest Mudder is groundbreaking. People used to say goals like that where “impossible” for women to achieve. I don't think I've heard that in a while, at least not in the OCR community and I think that's because women keep proving that the impossible doesn't exist. I love hard grip obstacles!! Rigs, in particular, are my favorite, but I don't know if anyone will ever compare to BattleFrogs Rigs. Each one was so different and you had to not only be physically strong, but mentally strong in order to get through it. I don't think any of us have seen an 80-foot long rig since BattleFrog Championship back in 2015, and I think for many that rig still haunts them in their dreams. For me, it was a sweet memory in being able to complete it after being stuck there for 5+ hours with torn apart bleeding hands. The wounds will heal, but those are the moments you'll never forget. What is your least favorite obstacle and why? Is there an OCR or endurance race that you will never do? I will try anything, at least once, and I will for sure do it if someone tells me I can't. Are you someone that plans their race schedule ahead of time? I always have an idea of what my “A” races will be. But I never pay for them ahead of time just since with my job I'm always at a high risk of injury and I also never know if maybe we will have an emergency with a horse at home that will prevent me from going. There's nothing worse than paying for an entire trip and then a week before leaving, horse “X” decides that the trash can by the ring is a monster on its 1,000th time going by it and catapults you straight into the ER. So, because of that, I end up on Sky Scanner the week before a race searching for the cheapest flights possible!! Not the best planning, But hey, it works!! I am just in constant awe of my competition. Even though we are competing against one another, I always find such inspiration in seeing my friends achieve. Seeing them do it makes me believe I can do it too. I've been training full time with Yancy Culp since November 2016. I train 5-6 days a week, a typical work out is about 90-120 mins (give or take depending on the day) but once race season starts we will even get the occasional 4/5 hour training session (which are my absolute favorites!). Yancy is great at getting our heart rate up for long periods of time w/o putting a lot of stress on the joints. He mixes the workouts up with running, biking, tire drag, 15% and throws OCR specific strength training into it. A ton of my time is spent dragging my pretty pink tire around town while getting insane looks by passing cars. I also try and add some outside ninja warrior training once a week. Either at a ninja gym just to get familiar with the obstacles I might see on ANW, or in the barn where my mom and I are attempting to build a ghetto version of a ninja gym. Be patient and persistent! I think if you can combine those two you've set yourself up for success. Understand that to achieve your goals is a process and that you'll have to put quite a bit of time in for it. But if you can keep it up and don't let the naysayers bring you down, you can achieve so much more than you ever imagined. Just be prepared for non-OCR people to tell you that you're crazy, constantly, but also know that you'll never feel more at home than in the mud with your OCR family!! I don't think there's one person in the OCR community that doesn't inspire me. This sport attracts the most genuine and hardworking people from all aspects of life. Whether it's watching the soldiers with operation enduring warriors work through a course together, watching Blind Pete go for hours on end through the night, or watching someone like Rea Kolbl come and absolutely dominate her first ever WTM, it's impossible to step foot on an OCR course and not be inspired. What is one your one A race/bucket list race you want to do? 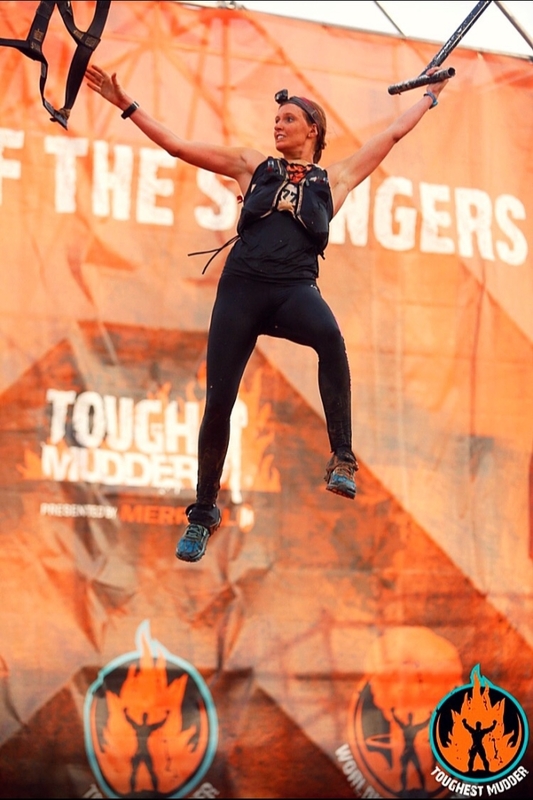 My A race for the year is World’s Toughest Mudder. I'm hungrier than ever to get out there and get revenge on the course after I got taken out early in 2017 due to a head injury.